Mad Max is coming back! That hold a lot of weight for some people, but I’m one of the few that is yet to indulge in the Mel Gibson classics of old. The new film, starring tough guy Tom Hardy, looks better and better with each trailer. The same can’t be said for the game however, and we’ve hardly seen a thing yet, Regardless, its coming this year. Mad Max, developed by the Just Cause creators Avalanche Studios, will be out on September 4th for Xbox One, PS4 and PC. That’s right, no more last-gen versions. No reason was given for their sudden cancellation, but I’m sure there will be a lot more news coming out of Game Informer next month – which will feature Mad Max as the cover feature. The game itself is said to channel the pure vehicular carnage that the films of famous for, with and open-world aspect thrown into the mix for good measure. You’ll be able to build the Magnum Opus from the ground up, customising engine parts, chassis, wheels and more. The game isn’t only set behind the wheel though, as Mad Max will have to dispatch enemies with brutal melee weapons and a trusty double barreled shotgun. The game is launch far later than the new film, although the two aren’t inherently tied. 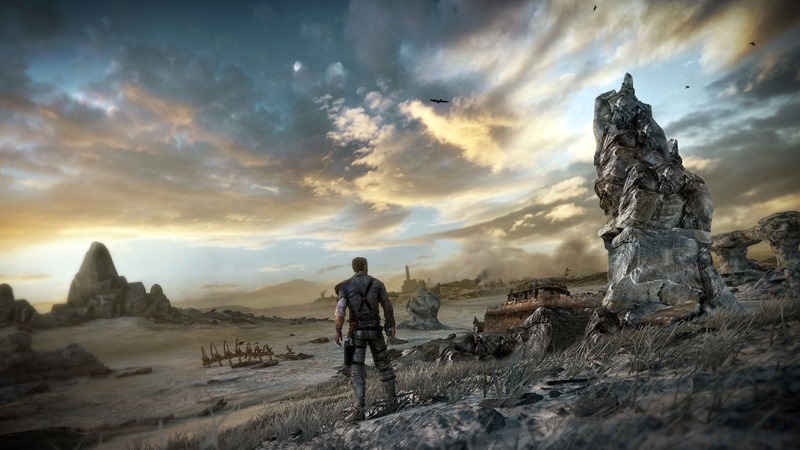 In fact, Mad Max was originally set to launch last year, but ended up being one of the many games to slip into the new year. Its loose ties with the film reboot are probably for the best, but there’s no doubt that Avalanche will be banking on box office success to build some hype. But first, how about actually seeing the game in action? I’d like that first please. Previous article New DAREDEVIL pics reveal first official look at Vincent D'Onofrio's Kingpin and more!